Digital transformation and artificial intelligence techniques such as machine learning have been two of the hottest technology trends in the last couple of years. In this podcast, we discuss how these two disciplines work together to drive business process automation. Hi, I’m Heather Taylor from Simplicity 2.0’s podcast. A key concept in business today is digital transformation, which centers on how companies can tap new technologies to rethink how they do business. Often, there’s a real excitement that results from seeing how, with some strategic shifts, familiar day to day processes can become new and more effective. But, reshaping internal processes is only one part of the equation. The other vital element is how well it serves your customers. It’s said that to really get a good idea of the customer experience, you need to think of it as a journey from the moment the customer first encounters the company. Just as you use certain methodologies in the digital transformation to develop and streamline your workflow, you can use the same approach to improve your customer experience as well. Simplicity 2.0 is brought to you by Laserfiche, the elite provider of global enterprise content management software, which manages and controls information so you empower employees to work smarter, faster and better. We’re joined today by Adaobi Kanu, Director of Customer Experience at Ollie Pets, a startup pet food company that’s helping redefine the space. So, welcome. So, Adaobi, why is there so much interest these days in the customer experience, and what does that even mean? Okay, great, great question, and it comes up a lot. So first, customer experience; what is it? So, customer experience essentially is about the relationship that a customer and a brand, um, can develop together over time. And, the reason why there’s so much interest there is because, we’ve seen that by really focusing on that relationship rather than just that one time purchase or that single interaction, you really were able to focus on a connection that lives on a much more personal level. And that, when you’re doing so, you’re able to create a brand that also evolves with your customer over time, and essentially becomes part of their lifestyle, their everyday, um, and then becomes a place where people want to come back to time and time again. 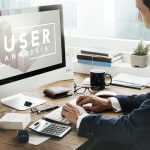 What economic and technological changes – so, if – you’re talking about the personal side of things, but what economic and technological changes have been most significant in writing the new rules of the customer experience game? Like, how is it changing things? Yeah, absolutely. And, to that point about the personalization, a big piece of it has really been data. You know, data has really played a huge impact in changing – changing the game of customer experience because its allowed us to dive into the various channels that – whether it be through social media or through other means – that we’re able to learn much more about our customers; who they are, who we’re speaking to. And then ultimately, how we’re also serving up information; ads, recommendations, products, services that will be most relevant to them. – we’re really seeing that there’s a lot that’s happening within that customer experience base that creates a much more personalized, tailored relationship with that perspective and end customer. So, as we’re talking about the customer and journeys, what is the advantage in thinking of the customer experience as this journey? How would you define that, especially when you’re thinking about all this data that we have? Good question. So, the – so, thinking about it as a journey, I always say it’s really like taking a big step back and seeing the big picture on what is really happening from start to finish, and _____ that journey. And, that journey is a compilation of a series of touch points that a customer will have with a brand, everything from that ad they might first see to the time when they perhaps walk into your store, go into – onto your site, purchase a product, experience a product. All of these steps really are the entire journey, and really understanding how your customer interacts with each of those touch points, um, and really just understanding the way they’re moving from start to finish. So that, with that journey you’re understanding each and every path – the different paths that customers might take, depending on their particular preference, and you’re able to see at each of those touch points, an opportunity to optimize on, um, the way that you strengthen your relationship with your customer in that moment. Um, so that you’re constantly creating value for them at each step. Fantastic. So, a lot of the times, you know on Simplicity 2.0 we’re talking about digital transformation. So, if you look at the methodologies of digital transformation, how can we apply this to the customer experience and how it’s changed? 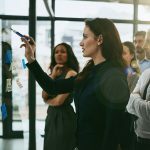 So, digital transformation is really allowing a lot of companies and departments to take a good look at what you’re doing now and how you can use different technologies to improve upon your processes. In the customer experience world, I would say we’ve really taken a – a good look at how we can gain new insights into our customers; how they interact with us, and really understanding more about how they are. So, some ways I’ve seen work really well within that customer – within that CX space is finding ways to just consistently provide product innovations that are enhancing the experience; how we’re able to – in the example of a delivery service – if you have a physical product that’s being delivered directly to your customer, providing real-time communication on any changes, delays, weather – weather related delays that might be impacting, that service commitment, but being just upfront and being, present with your customers. – understanding our customers, how they might react to changes, issues or damages or things along those natures, you can also then provide – create more of a VIP structure, if you will, to know, okay, this is the kind of customer that needs to get this particular, um, service at this particular time frame, so that we – we understand that we’re providing the best – the best service possible. So, what kind of things are you seeing that are coming out that are new, like on the horizon, that we may not have seen, that may, like, just kind of blow us away? Oh, man. I think really time will tell. There’s a lot that’s happening, and there’s definitely been a lot of talk around new technology, around augmented reality, and we’ve seen the way that a lot of gaming companies, for instance, have really leveraged that in – in, you know, the last couple of years specifically. You know, we all liked Pokémon Go from a couple of summers ago. But really, there’s a lot of ways that we are leveraging new technologies to – to really enhance that experience and create a – um, a better experience from start to finish for our customers. Fantastic. And I’ve one more question for you. So, what are the three steps that a company should first take to improve its customer experience. To me, I’d actually keep it pretty simple. I would say that those three steps are, you listen, really understanding what are your customers saying, how are you collecting that information and really just understanding what feedback is coming your way. So, really listen. Then, prioritize, because there’s gonna be a lot. But, where are we going to put your real flag in the ground? – we are creating experiences that are catered to specific individuals and their needs, that you are building that strongest relationship possible. Fantastic. So, I’d like to thank you, Adaobi Kanu, from Ollie Pets, for coming to speak with us today. Remember to add Simplicity 2.0 to your favorite RSS feed or iTunes. Thanks to Laserfiche for sponsoring today’s episode. 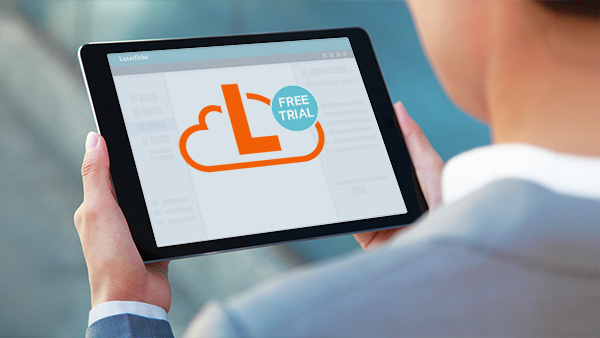 Learn more about Laserfiche at Laserfiche.com\Simplicity, or follow on Twitter@laserfiche. Until next time, this is Heather Taylor for Simplicity 2.0.